Home » Interviews » Mind Meld » MIND MELD: What Are Your Annual Holiday Genre Traditions? Q: What Genre Holiday traditions to you partake in every year? What favorite films do you like to re-watch? 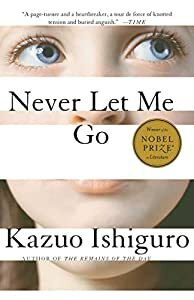 What favorite books or stories you like to re-read? What are your favorite Holiday-themed episodes of genre shows (beyond the classic Rankin-Bass stop motion specials)? SF/F author Julie E. Czerneda has fifteen novels out from DAW Books, many of which feature family and laughter, and one including an alien collector of interstellar Xmas traditions. Because it’s traditions that bring families together, year after year. You can find more about her work at www.czerneda.com or follow on Twitter @julieczerneda writing advice in 140 character bursts. For us, the holidays are now the time we spend with family, especially the days after Xmas, where there’s no pressure or need to move or even get out of pjs. That makes it the perfect opportunity to bust out our favourite new movie of the preceding year, or more than one, to share. The offspring count on us to be prepared with such offerings and it’s even better if we’ve someone visiting who hasn’t seen, oh, say Stardust or Galaxy Quest or Evolution. Settle in, we’ll say. Have eggnog and get comfy. We’ve had Lord of the Rings (all versions) holidays and Hobbit ones, Star Trek and Fifth Element one or three, and this year? Bodes to be Godzilla and Guardians of the Galaxy! (Not to mention the annual Doctor Who special.) You’ll note we deliberately go for the resounding happy ending and/or silly fun sorts of movies for the holidays. Our offspring are busy, we aren’t nearby, and maybe not every friend shares our family’s love of the happy, silly, and remarkable. (Plus, doesn’t hurt we’ve the big sound system and World’s Most Comfy Couch ™) We’ll watch the Xmas movies before, of course, but then, once the wrapping’s been put aside and leftovers await, then it’s time to pull out what will hopefully become the new favourite, cued to show the next visitor. When we do it again, be together, be it with dragons, starships, or aliens of intriguing habits. Wishing you and yours, peace and giggles! Jamie Todd Rubin is a science fiction writer and blogger, Evernote Paperless Ambassador, and tech columnist for The Daily Beast. Find him on Twitter at @jamietr. If a tradition is anything you do more than one year in a row, then my current holiday genre tradition is going to the movies with my wife, Kelly. Each December, we take a long drive with our two kids down to south-western Florida to spend a few weeks with my in-laws. While there, Kelly and I get to the movies while my in-laws watch the kids. For the past two years–and very likely, once again next month–we have gone to see each of the newly released The Hobbit movies. We see them in a gigantic theater, in 3D, and it is a somewhat disconcerting experience for a few reasons. First of all, although it is mid-to-late December, temperatures usually hover in the mid-80s. Walking into the theater, we find the air conditioning a comfort. Second, although the movie has usually only been out for a week or so by the time we see it, the theater is almost empty. This is because most of the population of the area flies to other parts of the country for the holidays, leaving things pretty desolate. On the other hand, we never have to worry about finding good seats. Finally, it’s some rare time we spend away from our kids together. It might only be a few hours, but we look forward to it eagerly each year. It doesn’t matter if the movie is good, bad, or somewhere in between. We just enjoy sitting there, relaxing, sipping a gallon of Coke and eating a mountain of popcorn while dwarves and hobbits and wizards take on orcs and wolves and dragons. The story takes us away from the world for a while, and that is all we can ask. As it happens, at least for the last several years, it is often the only movie I see in a year. The motion picture gene within me has withered as I have grown older. I’ve never been much of a fan of genre movies, but I really enjoyed The Lord of the Rings trilogy, and I have had almost as much fun watching The Hobbit movies. Of course, after this year, the tradition will likely draw to an end with the end of the franchise. Sylvia Izzo Hunter lives in Toronto and is the author of Midnight Queen. Her favourite Doctor is Tom Baker, her favourite pasta shape is rotini, and her favourite Beethoven symphony is the Seventh. She can be found online at http://sylviaizzohunter.ca and on Twitter @sylwritesthings . I’m lucky enough to get time off from my day job at around the same time my daughter is off school for winter break, and at some point over that period we usually break out the original Star Wars trilogy, The Princess Bride, and/or an Indiana Jones flick or two. Alas, I have yet to persuade the rest of the household to embrace my childhood holiday favourite, Chitty Chitty Bang Bang — which has nothing to do with Christmas (or any other winter holiday) except that one of the four TV stations we got at our house when I was a kid played it every December, so it always feels like a holiday movie to me. I don’t understand their lack of enthusiasm — how can you not love a movie with singing, dancing, musical candy, a flying car, tragically enchanted toys, a scary child-catcher, pirates, Benny Hill, dirigibles, True Love, and 100 dogs?! Winter break is also a time for breaking out the board games. We don’t own a normal Monopoly set, but we do have both Doctor Who 50th Anniversary and Star Wars Episode I (don’t ask) versions, as well as Classic Star Wars Trivial Pursuit! One of my earliest holiday memories is actually the beginning of a genre tradition in my family. Star Wars came out when I was about six months old, so when I say I grew up with it, I mean that quite literally. Star Wars was everything to my brother and me, and that meant Christmas was all about getting new Star Wars swag. (Also family and music and gingerbread and pine trees, but mostly Star Wars swag.) The first present I ever remember getting (as in, the first I have a distinct memory of) was an AT-AT walker. I loved that thing. It was my favourite toy for years. My mother still has this picture of me at five years old sitting by the tree in my PJs on Christmas morning, hugging this huge toy that was about the size of a terrier. I wasn’t allowed to have a puppy, so the AT-AT would have to do. I put it on a leash and gave it a water dish, which of course drove my older brother nuts. That isn’t to say I didn’t play with it “properly” – it was the star of our Hoth battles, of course – but when it was time to pack up the Kenner figurines and put them back in the Darth Vader collectors’ case, the AT-AT was back on its leash. Anyway, that was the start of an annual tradition of discovering Star Wars toys under the tree, with the big ones like the Millennium Falcon serving as “Santa’s special gift”. That went on for a good ten years, I think. A more modern holiday tradition in my household (and I suspect lots of others) is the re-watching of Lord of the Rings. It started in 2002 when I lived in a City That Shall Not Be Named, which was so crushingly boring that having The Fellowship of the Ring come out on DVD at around Christmas time – with new scenes! – promised to be the most exciting thing that had happened all year. After that, we bought the new DVDs every Christmas, which I’m pretty sure is exactly what New Line Cinema had in mind by releasing the films and the DVDs at holiday time (clever, that). Rene Sears is a lifelong reader of genre, and more recently, Interim Editor at Pyr. She also writes, and enjoys geeking out over books, comics, tv, and movies, but especially books, you can find her on twitter @renesears. As I’ve gotten older, New Year’s Eve has become less about going out and more about staying in and enjoying the evening with a few friends. As a tradition, D&D New Year’s Eve night never quite gained traction, but we passed one memorable December 31 a few years back gaming past midnight. Our other tradition is unofficial, fallen into more than planned out; if the Twilight Zone marathon is on, we’ll watch it. It’s not so much a center of attention, but more of a background to conversations, with occasional moments of focus as a memorable (or terrifying; gah, “The Masks” gave me nightmares for *years*) episode comes on. My favorite holiday in a SFnal world is probably Futurama‘s “Xmas Story,” although “Freedom Day” is also up there. There’s something about evil robot Santa exploiting an entire planet full of elves while Earthicans cower in terror of the night of carnage to come. (And any time Futurama does a musical number, it’s generally fantastic.) The inversion of the usual Christmas traditions into their sinister Xmas versions is fantastically fun. Interestingly, I can think of more SFnal holidays in film and television than in books. In Melanie Rawn’s Ambrai series, the culture revolves around a calendar of saints, all of whom have feast days; Pern has its Gathers, but those are more festivals than holidays as such. I recall a few books in which solstices and equinoxes play a part, but it’s more for their effect on magic than for celebration with loved ones (and lots of food.) I’d love to hear of some I’ve overlooked. Michael R. Underwood is the author of the “Ree Reyes” series (Geekomancy, Celebromancy, Attack the Geek) as well as Shield and Crocus and The Younger Gods. By day, he’s the North American Sales & Marketing Manager for Angry Robot Books. Mike grew up devouring stories in all forms, from comics to video games, tabletop RPGs, movies, and books. Always books. Mike lives in Baltimore with his fiance and their ever-growing library, guarded by a super-team of dinosaur figurines & stuffed animals. In his rapidly-vanishing free time, he studies historical martial arts and makes pizzas from scratch. He is a co-host on the Hugo-nominated Skiffy and Fanty Show. I must admit to being a bit of an easy mark when it comes to Christmas and Holiday stories. The sentiment of coming together with family and loved ones tends to jump straight over any guarded anti-capitalist or cynical inclinations and hit me right in the feels. Give me Love, Actually, The Nightmare Before Christmas, It’s a Wonderful Life, A Christmas Carol, The Holiday Inn…I love it all. But my #1 favorite holiday media property is probably “Abed’s Uncontrollable Christmas,” which mixes up Rankin-Bass-style stop-motion animation with Community‘s signature genre-aware storytelling, addressing the struggle between the secular and religious expressions of Christmas, cynicism vs. optimism about holidays, and Abed’s struggle to figure out how to continue to capture and re-create the holiday now that his family situation has changed and he’s off on his own with a new family. When I’m not in the mood for straight-up satire, I love to curl up and watch Die Hard with my fiance, who maintains that it is the greatest of all Christmas movies, and I find it hard to disagree. 4 Comments on MIND MELD: What Are Your Annual Holiday Genre Traditions? Ken Russell’s The Devils has become my Christmas tradition. Wonderful Mind Meld! I can’t think of any Christmas celebration SF-F books or stories, either, but this time of year there ARE some SF-F reading “challenges” (or, really non-challenges) such as the one at Little Red Reviewer’s blog and also on the Stainless Steel Droppings blog, and those get me reading in the genre, and also putting SF-F books on the Santa List. Because the theatrical editions came out in December and the Extended Editions were released the following Novembers, the original Lord of the Rings trilogy is something I get the urge to watch around this time every year. The weather in the Midwest starts to get cold, and something about the cold always gets my science fiction urges flowing, so I read a lot more science fiction over the winter months, beginning as soon as it cools in November. I also host an annual science fiction reading event that takes place December 1 through January 31. This is my eighth year doing so. If you consider Phantom of the Opera genre, then that is another thing I always get the urge to watch around Christmas as the Gerard Butler film adaptation was released at Christmas time the year it came out. I also tend to want to play games on the computer/Xbox that have winter settings. Skyrim was one I have went back to the last few years, and I assume their will be some winter scenes in Dragon Age: Inquisition, which I am playing now. As Richard mentioned above, I also participate in Little Red Reviewer’s Vintage SF Month in January each year. No one has a seasonal reread of Hogfather? Color me surprised.